The Peak District is the third most popular National Park in the UK with over 9 million visitors a year. It’s close to my home in Nottingham so makes a perfect UK day trip or weekend break away to enjoy some walking. 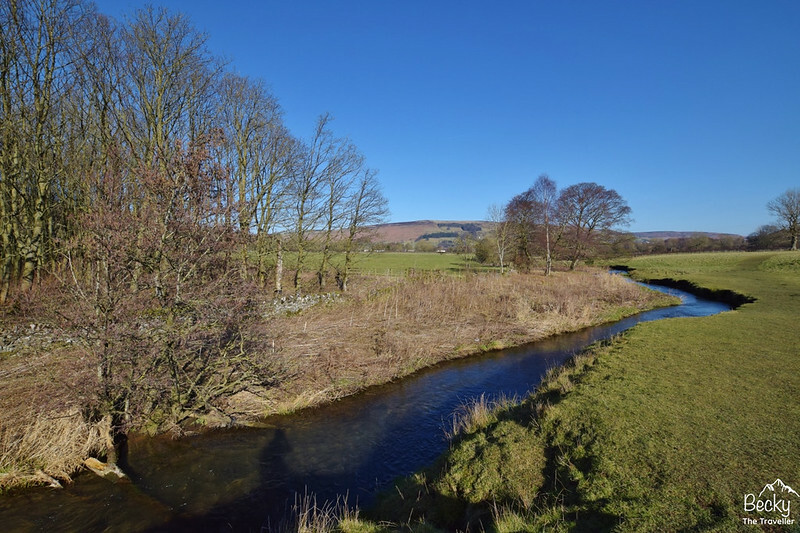 Castleton in the Peak District is a great place to base yourself as there are many circular walks you can do in different directions from the village. On my two-day trip, I did two circular walks from Castleton as a starting point. 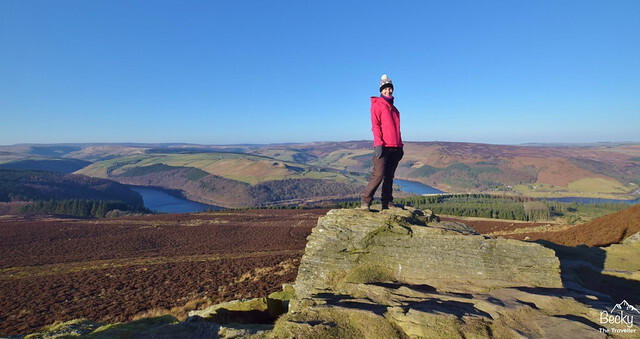 Walk one is a 9-mile route taking you through Hope and Aston and up to the top of Win Hill for gorgeous views of Ladybower Reservoir. 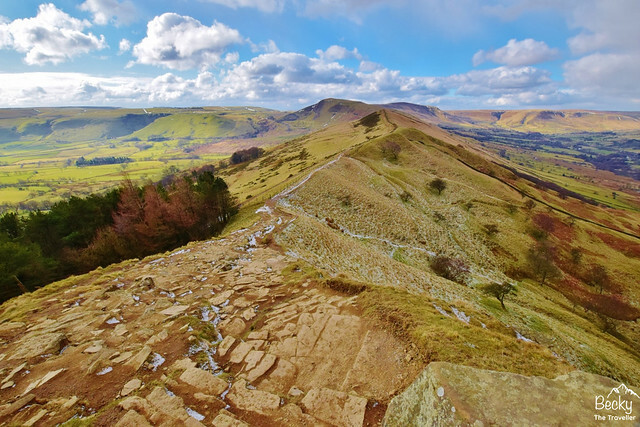 And walk two from Castleton is a 6-mile route and includes the popular Mam Tor walk. This hike was voted number 10 in Britain’s Top 100 walks so don’t just take my word for it the whole of Britain thinks it’s an awesome walk! Both walks have options for shortcuts if you want to do a shorter walk! 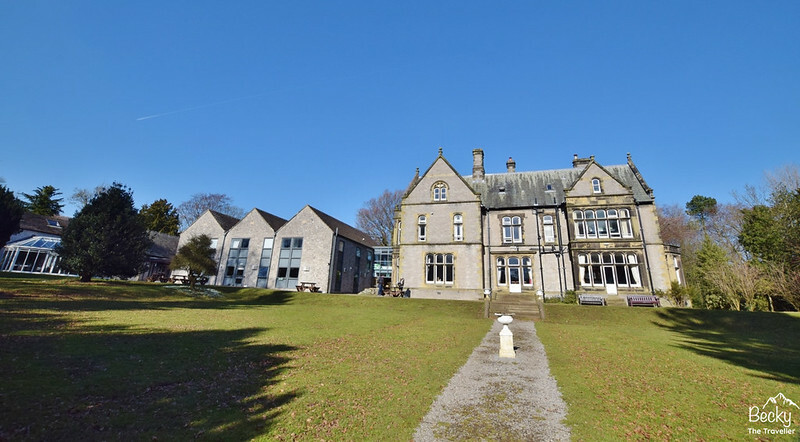 3 Where to Stay in Castleton? Leaving Castleton village, walk down the A6187 until you reach a footpath signposted to Hope heading alongside Peakshole Water. After about 1 km you reach a train line that you’ll need to cross. Be sure to check carefully before you step across. Amber flashing lights mean stop, so don’t risk it! Sorry, I don’t mean to sound like your mum, but I want you to have a safe walk :). You can also tick this off your things to do whilst hiking list here! Once over the train line, you will continue on the footpath until you reach Hope. here you take a left turn onto the road, then a right and the footpath will be on your left-hand side of the road. Tip – if you forgot to go to the toilet before you left there is a public toilet in Hope! The path takes you up across open fields and you have some beautiful views of the valley below. Here is an old Navio Roman Fort, although don’t expect to see much evidence of this! Follow the footpath across these fields until you reach the road at Brough. Take a left and then you can cut diagonally across through a field, there is a stile right in the far corner. Crossover and continue for a short distance on the road. Here the path takes you across the railway bridge at Hope station. Once over the bridge take a right and then shortly after you’ll come across the footpath on your left. Follow this footpath all the way up to Aston. Watch out for cute little bridges that distract you from the path (haha yes I wasn’t paying attention and cross a bridge only to end up in the corner of a boggy field with no gate!) So keep heading north and you will be fine. And here’s where I made my second mistake, as you reach the end of the path, there’s a track heading north (don’t take this route!). You need to turn left and follow the road which then takes you on the right path! Keep walking up this road and it then takes you on to a footpath up to Edge Farm. There’s a little bench here which is a great place to stop for lunch. Now you keep on the path for about 0.5 km, until the paths cross. At this point, you can choose which to take the path, heading right takes you up to Win Hill. A short extension on your circular walk, but well worth it! It’s about 1 km up to the top of Win Hill but on a clear day, the views are stunning to Ladybower Reservoir so I’d definitely recommend it. As you reach the top you can take the path, or if you’re like me you can scramble to the top! All photos were taken using my tripod. Check out which ones I recommend here – Best hiking tripods. Once you’ve spent plenty of time enjoying the views you can then head back down the same path but this time after 300 m continue straight heading west. This path curves round to the right, towards a wooded area after 2 km. Here you then take the path almost doubling back but leads you downhill along a narrow track. There are beautiful views of Lose Hill on your right. Follow this footpath south and on to a road for 1.5 km. But be sure not to follow the signs for the footpath at Fulwood Stile Farm. Instead, keep right along the road which takes you back across the train line. At Townhead Bridge, turn left onto the road and then further up the road a footpath continues on your right. Follow the signs to Lose Hill, you’re now starting to head back uphill again. As the path splits take the left-hand path which leads you to Losehill Farm. There are quite a few footpaths around here so it’s easier to take the wrong one. But head south towards Spring House Farm and take a right along past Losehill Hall (this is where the YHA is situated if you choose to stay here then you’re back!) If not, then it’s a short final walk in Castleton and a well-deserved beer at one of the pubs! Leaving Castleton, following the road to the east, take the first footpath heading north up to Losehill Hall (this is where YHA Castleton is if you decide to stay here). Turn left up to Spring House Farm. Then turn left again walking north. And now you start heading uphill, it’s quite a steep hike so I’d recommend taking any extra layers off. You’ll need them again at the top! 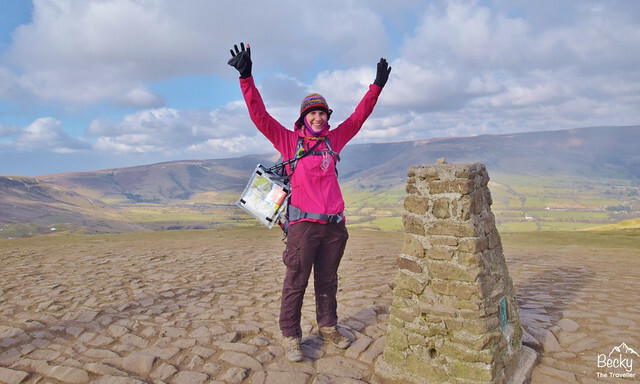 Enjoy the climb, as you start to hike you’ll see some gorgeous views of Mam Tor where you will be heading. There is a lower and upper path along the ridge. So if you decide you don’t want to climb the last 80 m you can follow the path below towards Back Tor. 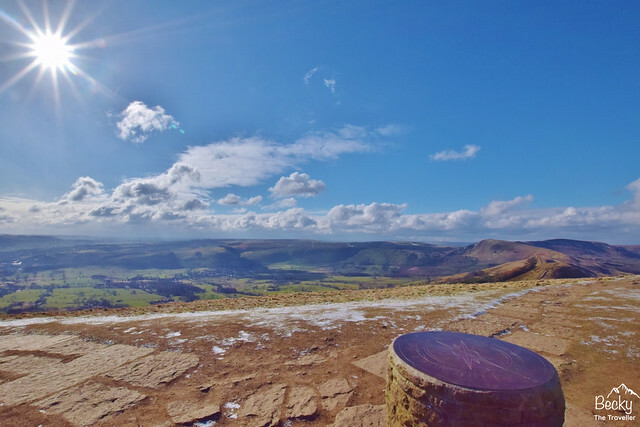 Once you’ve reached the top of Lose Hill, on a clear day, you can see all the way to Mam Tor. I was lucky even though it was a cold day I could see all the way along the ridge to Mam Tor summit (517 m). Now even though my photos looks like it’s a beautiful sunny day (which it was) at the top of Mam Tor it’s still pretty cold and can be very windy! Keep hold of any lose items, hats, scarfs, children, you know things that could easier blow away! Follow the path down from the summit and the crazy wind, the scenery is deceiving and you feel like you’re heading off on another ridge. But shortly after the road dividing the hills appears and you’re down from Mam Tor. There’s a disused quarry after a few hundred metres down the footpath. A perfect place to do a small detour for a lunch stop. The quarry provides shelter from the wind as there are little corners to hide behind. Continue back on the footpath to Winnats Head Farm and then across the fields to Blue John Cavern, the footpath isn’t obvious here. But once you see the shop for the famous Castleton caves you know you’re going the right way. 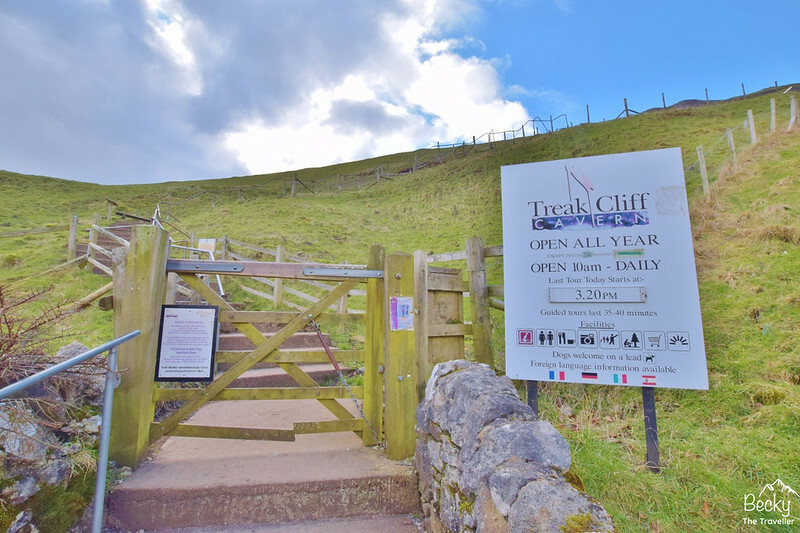 Head along the footpath, taking you round the hill to Treak Cliff Cavern. If you want to go explore Castleton’s caves you can stop off here and go underground. Unfortunately, being on my own I wasn’t able to go on a tour as the minimum number was two people, boo! From the caves, follow the steps down to the main road. Turn right and continue until down the road until a footpath appears on your left after 0.5 km. Then take a right towards Dunscar Farm. Turn right here and then follow the footpath, completing the circular loop all the way back to Castleton. Where to Stay in Castleton? For my Peak District trip, I based myself at YHA Castleton Losehill Hall, which is less than a mile from Castleton village. The address is Hope Valley, Derbyshire, S33 8WB (and surprisingly enough the sat nav did take me to the right place!) If you’ve not stayed in a YHA before then this is a beautiful one to experience for the first time. Losehill Hall was built in 1882, inside there’s a beautiful grand staircase and open fire and outside it has stunning grounds, with lots of snowdrops! If you are visiting the Peak District for a day you can park in Castleton village. Rates start at £1 for an hour, going up to £5 for up to 10 hours (prices increasing from 1st April to £1.20 & £5.20). 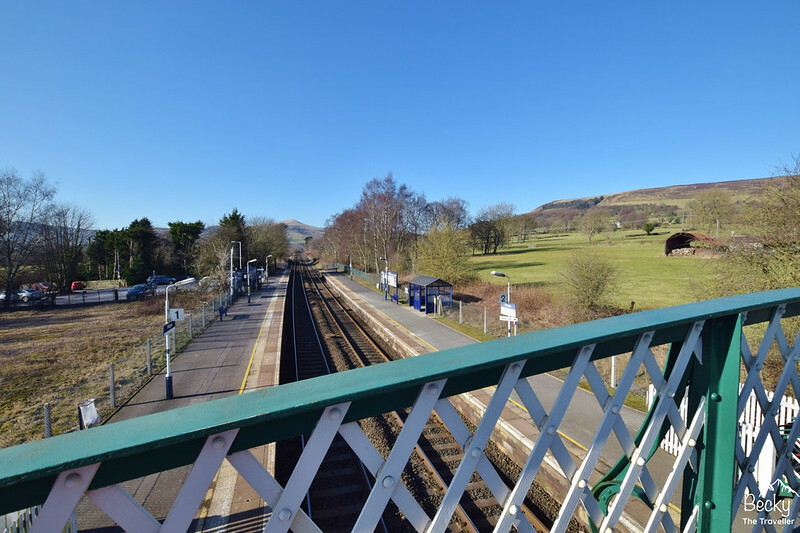 Travelling by public transport to Castleton, the nearest train station is Hope Station. For walk number one this is actually one the route so you can start your circular walk here. For walk number two, it’s either a 3 km walk to Castleton or catch the bus no 271 or 272. Click for the bus timetable here. 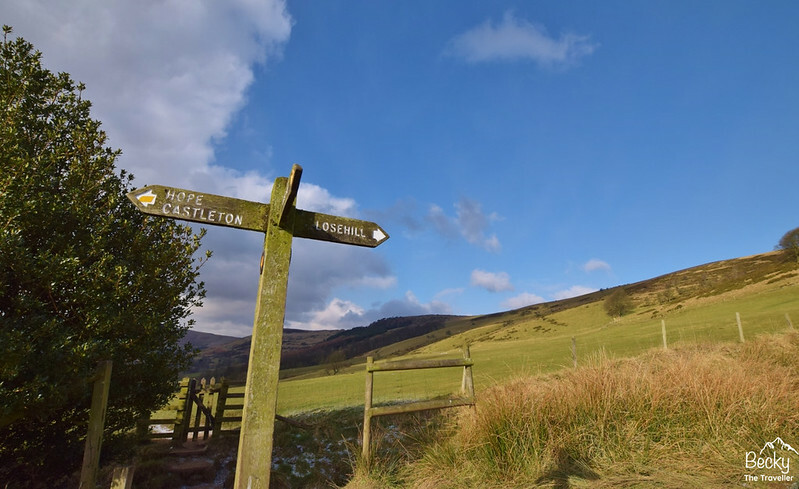 Love the walks Castleton in the Peak District? 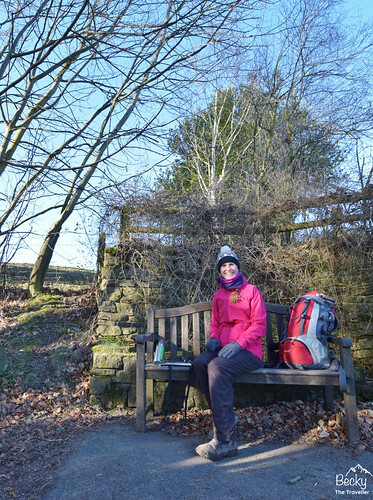 You might like these Peak District circular walks too! I am regularly hiking in the Peak District so if you are looking for more Peak District walks feel free to drop me an email. If you search my hashtag #BTTinPeakDistrict on Instagram you’ll see lots of photos and inspiration for your hikes! *Although I try to give detailed instructions for the walks from Castleton, I’d always recommend taking a map and compass with you! I’ve been to Castleton before, quite by accident, and spent the whole day there. It’s such a beautiful place. Breathtaking scenery everywhere you look. Yeah, it’s so pretty, I had loads more photos it was difficult to pick which ones to add in! This is great, as I am actually planning a trip to the Peak District during the bank holiday in May. Very useful information about the trail, accommodation and most importantly about public transport, as we will be coming from London by train! These look like incredible options to explore the Peak District. Especially appreciate all of those extra practical details! This hike looks absolutely beautiful! So scenic. Loved your pictures!